"The 'Tulip' campaign is a fresh, nonjudgmental manner to launch the Gainbridge brand." Online annuity and life insurance agency Gainbridge has launched a consumer-focused campaign that highlights the importance of protecting your money and investments - or even your tulip franchise. The campaign, which includes the launch of a DTC annuities site, was created by New York-based creative shop Bullish. 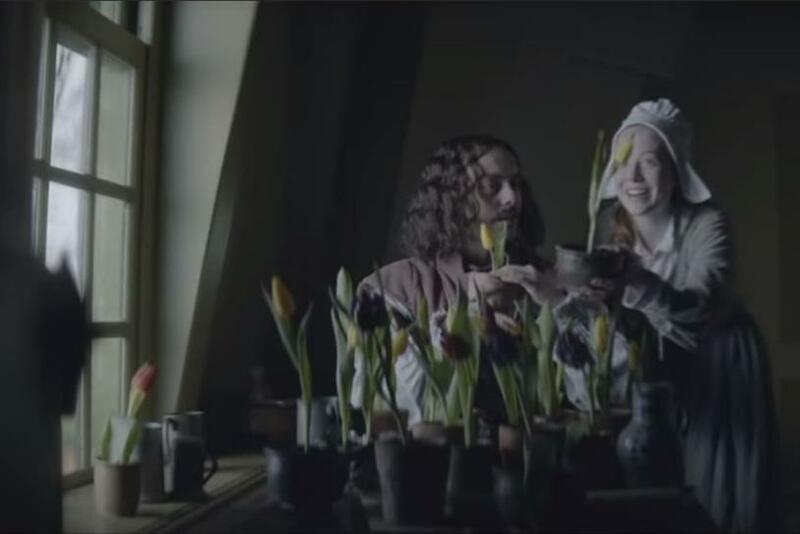 In the beautifully shot commercial, viewers are taken on a historical journey to the 17th century to see the great Tulip stock boom. The effort also includes static ads featuring historical figures, like Sir Isaac Newton, who went through their own financial turmoil. "With uncertainty surrounding 'hot' investment areas like cryptocurrency, and the bull market in general, we want to showcase that our annuities are incredible products to grow and protect savings," said Andres Barragan, chief experience officer, Gainbridge. "The 'Tulip' campaign is a fresh, nonjudgmental manner to launch the Gainbridge brand, while reminding us all that even the frothiest times bring uncertainty and that CD’s and online savings accounts are not the only smart options out there to balance risk." Brent Vartan, co-founder and managing partner of Bullish, said: "Gainbridge challenged us to create an ownable proposition to transform a category. In launching this new, innovative brand we tapped into some tried-and-true storytelling techniques to embolden an overlooked consumer and their beliefs."